DIAMETER Measurement , or amount of SLACK , or VIBRATION measurement. An application for DIAMETER, EDGE 1, and EDGE 2 mode. Additional measurement MODES can be defined by the user. Some examples are: CENTER (the center of the detected object), THRESHOLD measurements (min. or max. diameter), POSITION (the placement of an object) and ORIENTATION (the laterality of the detected object). 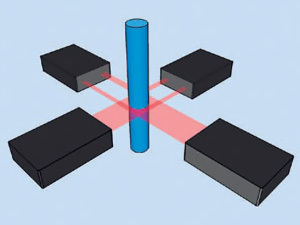 EDGE or PROFILE or SURFACE RUNOUT measurement. A typical application for EDGE mode. 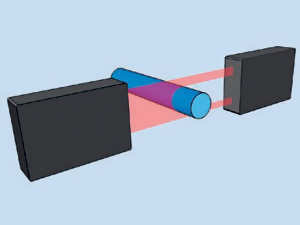 In this mode, a two dimensional profile of a moving or a stationary object can be measured. LARGE Object , THICKNESS or WIDTH or HEIGHT measurement. Another application for the EDGE mode. 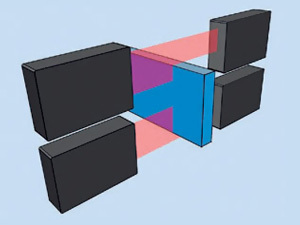 By using 2 parallel sensors to measure the width or profile of a LARGE stationary or moving object. An application for the GAP mode. 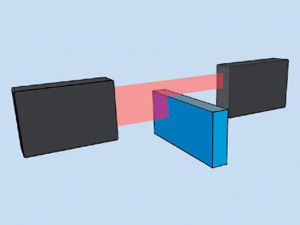 Gaps can be measured between objects that are either stationary or in motion. X axis and Y axis measurement of DIAMETER, POSITION , VIBRATION, SURFACE RUNOUT. 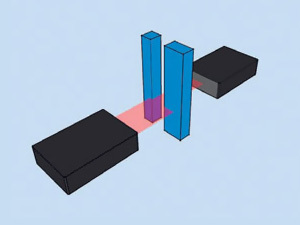 The use of 2 perpendicular sensors to measure the X and Y axis of the detected object.